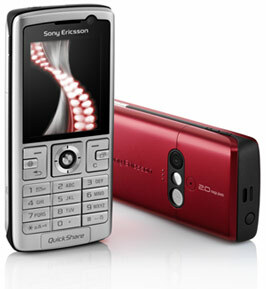 Sony Ericsson K610i lightweight and slim 3G mobile phone that weighs just 92g. Although it’s not a Walkman phone, the 3G phone still packs a lot of features. Sony Ericsson K610i features 2-megapixel camera with digital zoom, 262.144 color 176×220 pixel TFT LCD screen, media player which supports AAC and MP3 format (enable Sony Ericsson K610i as portable music player and portable video player), quad-band support of GSM 900, GSM 1800, GSM 1900 and UMTS, Memory Stick Micro (M2) support, video calling support, Bluetooth, 3G and includes a RSS reader. K610i available in Misty White, Urban Silver and Evening Red colors and has a dimension of 102 x 45.2 x 16.9 mm. 3G reviews Sony Ericsson K610i and concludes with total score of 86% that “we mark the Vodafone V630i one point higher than the K610i, as did with its Vodafone live! Mobile TV. Basically, they are the same except for branding and operator tweaks yet my heart goes with V630i. A personal choice.” Pros are most people like Sony Ericsson mobile phones. This latest 3G version will appeal to a mass audience. A good all round performer. However, cons are it may reach two megapixels but disappointingly, the K610i camera quality does fall short of Sony Ericsson’s other famous camera phones like the W810i and K750i. No auto focus.